Mining has always been controversy’s child all over the world, and in India too. The stories we see and read in mainstream media are mostly those related to environmental damage, human rights violations, and health issues caused by mining activities. However, the significance of mining for development of a nation, industries and employment opportunities is hardly talked about. Mining industry provides employment to 0.7 million individuals in India. Out of 2,842 mining projects proposed for forest clearances in the last 17 years, only 1,723 projects have been issued forest clearance from the Indian government. The remaining are pending or have been rejected/closed on grounds of lack of sustainability. India is a mineral-rich nation, and mining is one of the core sectors of the Indian economy. As per official data of the Ministry of Statistics and Programme implementation, the mining sector (including fuel, atomic, major and minor minerals) in India contributed about 2.4 per cent to the GDP of the nation in 2014-15. However, in terms of GDP of the total industrial sector, it contributes around 10-11 per cent to the economy, a number impossible to ignore. Mining also provides basic raw materials to many important industries such as power, steel, cement, etc., which in turn, are drivers to overall economic development of the country. By some accounts, mining is more than 6,000 years old. The Indus Valley Civilisation explored and used flint. Harrapan quarries excavated by archaeologists also show evidence of prehistoric mining activities. The first recorded account of mining in India was in 1774, when the East India Company granted permission to a British entity, M/s Sumner and Heat, for mining coal in Raniganj Coal Field along the river Damodar in West Bengal. In 1866, seven years after the first oil well was drilled in human history in Pennsylvania, USA, the first oil well in India was drilled in Digboi. Later in 1880, gold mining was initiated in Kolar Gold Fields in Karnataka by another British company. In the years before independence, mining activities in India remained moderate in scale and primitive in technology. The Industrial Revolution in the 18th and 19th centuries when predominantly agrarian, rural societies in Europe and America became industrial and urban, the demand for production of various minerals increased as well. After Independence, however, the mining industry witnessed modernisation and grew at a much faster rate because of the ambitious Five-Year Plans for coal, metalliferous and oil sectors, and increase in production of minerals, the economic reforms in 1991, and the National Mining Policy (NMP) in 1993. The NMP that followed fiscal, industrial and trade reforms by the government “recognised the need for encouraging private investment including Foreign Direct Investment (FDI), and for attracting state-of-art technology in the mineral sector. The Indian coal mining industry, which has garnered maximum attention and flak, has always tailed the domestic consumption requirements, particularly the railways. Many companies took up mining leases granted by erstwhile zamindar-s and kings, for durations ranging from perpetuity to 999 years, to shorter durations. After Independence, to meet the growing needs of the steel industry, ‘systematic exploitation’ of coking coal reserves was reportedly encouraged in Jharia Coalfield in Jharkhand. However, private coal mine owners in their greed to maximise profits, resorted to unscientific mining practices, poor labour conditions, and insufficient capital investment. Consequently, the government initiated nationalisation of private coal mines undertaken in the years 1971-73 by enactment of several legislations, including the Coal Mines (Nationalisation) Act, 1973. India currently produces 87 minerals, and the country’s strategic location provides vantage point for exports to fast developing Asian markets. There are about 3,000 mines in the country. The low cost of production and conversion in steel and alumina sectors also helps. Globally, India is the 3rd largest producer of coal and steel, and 4th largest producer of iron ore. There is significant mining potential that still lies untapped. The mining industry has failed to exploit the resources sensibly due to lack of infrastructure facilities, regulatory challenges, and no promise of sustainable mining activities. Given the size of resource potential, for example, India has the 5th largest estimated coal reserves in the world, corresponding investment is very low that is evident from the very low FDI in the sector, despite allowance of 100% FDI. The government is targeting to increase the GDP share of mining from 2% to 5% over the next 20 years. Mining is known to impact the environment immensely. So, in order to minimise the adverse effects of mining and optimise the benefits from mining to the community impacted, it’s imperative for mining to be carried out in a sustainable manner. A sizeable percentage of mining proposals have failed to obtain environmental/forest clearance from the Ministry of Environment and Forests, Government of India. The string of scams, frauds, issues of environmental degradation affect mining drastically. The Indian Bureau of Mines initiated on March 1, 1948, functioned initially as an advisory body. It helped the government in framing rules like the Mines and Minerals (Regulation and Development) Act 1948; Mineral Concession Rules, 1949, and Petroleum Concession Rules, 1949. The multi-disciplinary government organisation engaged in the promotion of conservation, scientific development of mineral resources and protection of environment in mines other than coal, petroleum and natural gas, atomic minerals and minor minerals. The Indian Bureau of Mines and State Pollution Control Boards (SPCB) are responsible for monitoring environmental snags and issues. 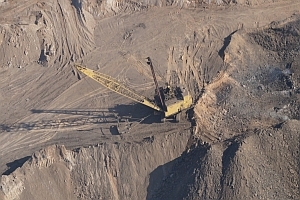 The Indian Bureau of Mines clears mine plans and mine closure plans. The Ministry of Environments and Forest clears environment impact assessments. However, with jurisdictions overlapping each others’, the entities do not have manpower to monitor large-scale mines, leave alone small, medium and illegal ones. For instance, members of the civil society maintain, in Orissa, of the 300-odd officially operating mines, the SPCB has only 172 under its regulatory net. And, the situation isn’t any different in Jharkhand and Chhattisgarh. NGOs reportedly maintain that State Pollution Control Boards desist from “acting against violators, because procedures are time-consuming, they don’t have legal capacity, and violators usually walk”. Another issue of contention is that of mine closures. It was only in 2003 that closure plans were made integral to the clearance process in India. Activists maintain that closure plans are pits disguised as water bodies and waste dumps as plantations. The environmental and social costs of closing and rehabilitating old and abandoned mines in the developed world are estimated to cost a fortune, that goes far beyond the capability of mining companies. With the governments having to foot the bill instead, regulators ask companies for comprehensive financial assurances. The financial assurance under the law is Rs. 15,000-20,000 per hectare, which is barely enough to cover proper earthwork. Environmental, social, and economic rehabilitation will cost a lot more than that, maintain activists. While the state is responsible for mining of its land, minerals being property of the state and the government holding mines in trust, it’s the people who are the real owners of mines, and have a right to raise questions. Illegal mining in India is a menace not just to people, but also the government. It robs the country of minerals, causes severe pollution, and neither is the profit accrued shared with the government and locals.